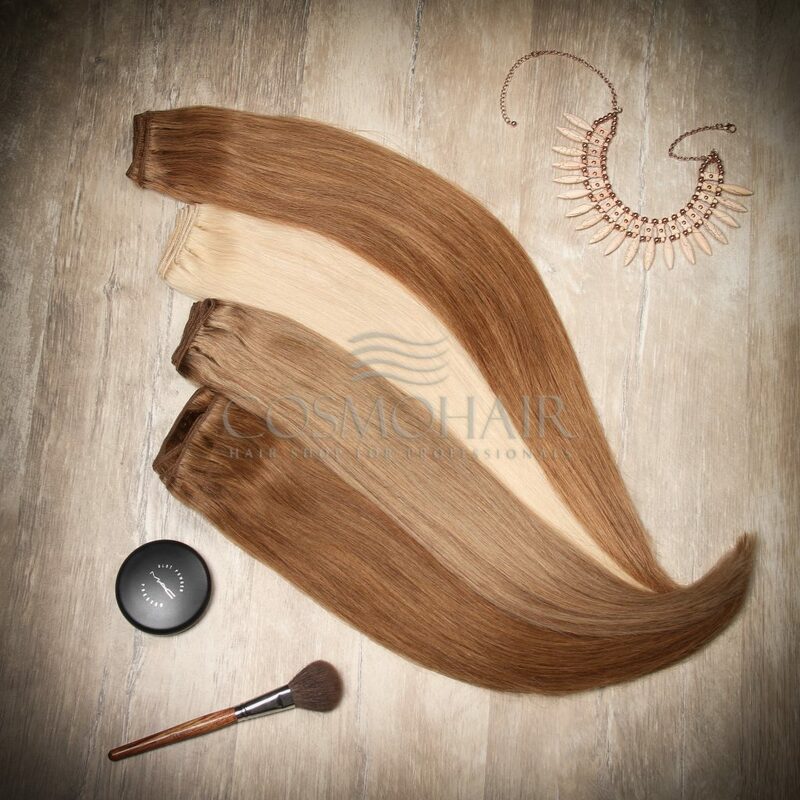 Weft hair extensions use “cold fusion method”. The client’s hair is braided to create a base for the extensions, and then the wefts are sewn into the braids using a needle and thread. This method has been dubbed “Hollywood weft”. The wefts are also used to make clip-ins that the clients can then use at home to make their hair thicker and longer multiple times. Wefts are also perfect for creating special occasion hairstyles.